Made my form but now I want to add it to my web site. 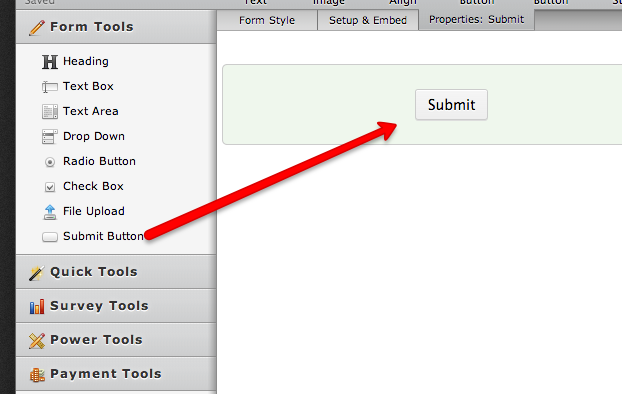 I want there to be a submit button on the form when for is complete to send to my email. How ? You might want to consider reading out Getting Started guide first here. 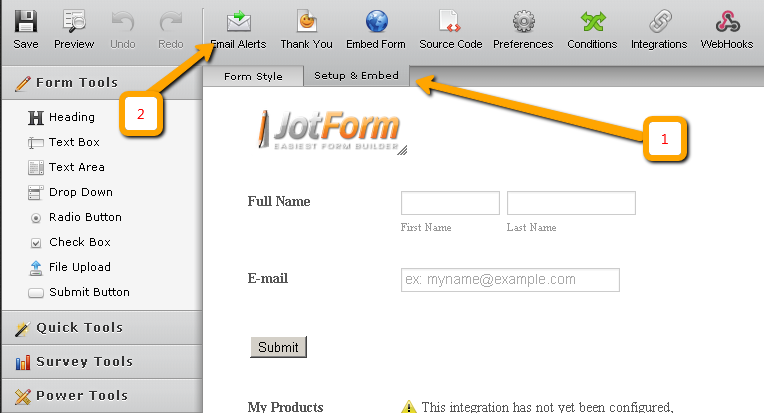 Then getting familiar with your JotForm editor, you will notice that it is just a drag and drop to be able to add the fields. Same with the submit button. 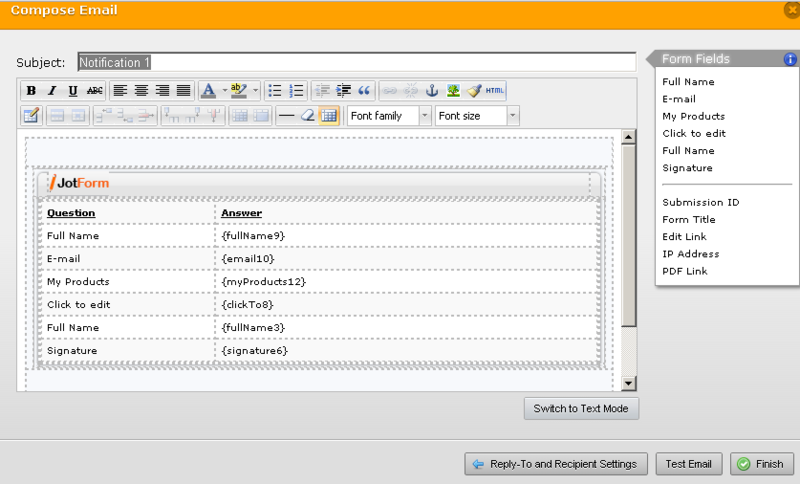 With regards to the Email notfication, Yes you can receive email whenever there are new form submission. Here's the instruction on how you can activate that. Choose notification Email and hit Next. 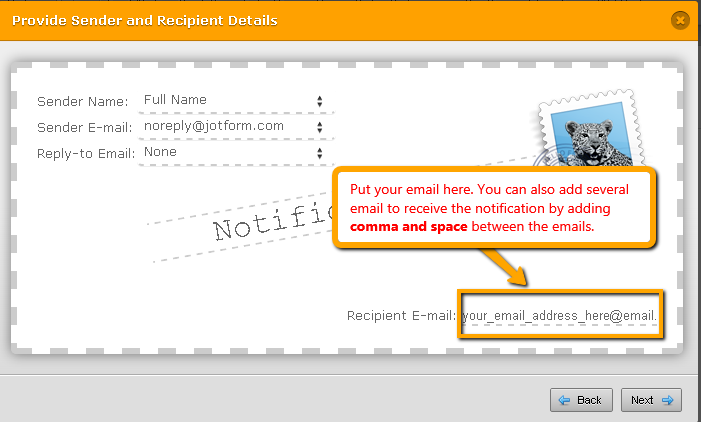 Now configure the email address where you want to receive the notification to. Once you click Next, the window of the template email will show up where you can modify the email format on how you wanted to receive the email. After setting it up, hit Finish. Now you will receive a notification email of your form. Kindly let us know if you have further questions or inquiry. If it is a new topic, we recommend that you open another thread to avoid confusion and to assist you better.